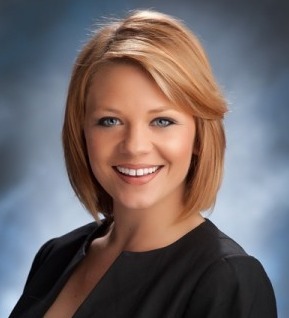 Shea Allen, an investigative reporter for WAAY-TV, a Huntsville, Alabama, ABC affiliate, was fired from her job despite what had been considered sterling work because of a post she made on her personal blog. Titled “Confessions of a Red Headed Reporter,” it was a light-hearted list of, she thought, minor quirks and trivial transgressions. 1. I’ve gone bra-less during a live broadcast and no one was the wiser. 3. I am better live when I have no script and no idea what I’m talking about. 4. I’ve mastered the ability to contort my body into a position that makes me appear much skinner in front of the camera than I actually am. 5. I hate the right side of my face. 6. I’m frightened of old people and I refuse to do stories involving them or the places they reside. 7. Happy, fluffy, rainbow stories about good things make me depressed. 8. I’ve taken naps in the news car. 9. If you ramble and I deem you unnecessary for my story, I’ll stop recording but let you think otherwise. Was it fair for the station to fire her? #2 suggests manipulative conduct by the reporter. #3, saying that she goes on camera when she “has no idea what she’s talking about,” is not a statement calculated to engender trust from the news watching public. #6 is insulting to a key demographic for the news. This was her dumbest “confession,” and could justify the firing all by itself. #9 essentially is an admission that she’ll lie. Not good. Shea also told The Blaze that the station trampled on her First Amendment rights, which means that she doesn’t understand the First Amendment. The station could have been kind, generous, and forgiving, but it had due cause to fire her. UPDATE: Apparently the blog post was the third strike, after other issues that the station legitimately could consider cause for alarm. In light of this, my belief that the station could have been more patient with Allen is, shall we say, shaken. Her eagerness to bring her firing into the web’s gossip mill is also evidence that perhaps WAAY-TV had seen enough to know that she was a risky employee to keep around, if a talented one, and that the wise thing would be to let her learn to be a professional—or not—on someone else’s watch. “[T]he list was unprofessional, and reflected poorly on the station and its personnel.” Full stop, Jack, that alone was good enough for removal without breaking it down further. This woman comes off as a complete airhead who lacks both basic intelligence and basic good judgment. She also plays into every stereotype about good-looking women not being able to get anything done without trading on their looks. I’d probably make a good source. #6 is just not good to say about any demo.. Substitute black, gay or muslim for old and you have a real headliner. #10 is a head scratcher… Federal Offense by a Journalist? Why admit that, and why commit that crime? If not for those it would just be funny. She is. Assuming she’s any good, she’ll be fine. Move over, Sydney! This one’s got a sense of humor! To Ms. Shea: No fear, now. We old guys don’t bite. About #10 – relax; you’re no worse than the good ol’ NSA. PS to Shea: I am available to teach you about the Bill of Rights ANYTIME. Comments at 9:08 and 9:10 retracted. Sydney needs more help, and thus suggests more reason to be hopeful of her being responsive. Buddy, I dunno what news shows you watch these days, but Number 3 describes most of them, most of the time. She says she is going to keep her blog up because she has “freedom of expression”. I think she should come to Texas and do a story about Justin Carter for her blog. Maybe she will learn a little more about the first amendment. I’m afraid she’s an idiot. She gets a ‘probationary’ warning. The probation is stipulated by her removing her blog post and not blogging unprofessionally again, enforced by a stern counselling session reviewing, what should be obvious “oks” and obvious “no-no’s”. And probably specifically assigning her to stories that involve old people and topics that require her to do some research. And the tone of voice of the counseling session would be unassuming yet implying that she should have known better anyway. From what I have read, she was asked to remove the blog. She removed the blog. It was only after she reposted the blog (with a narrative that she was reposting due to free speech) that she was fired. Sounds like they acted proportionally and fairly then. Today’s word of the day is “Bimbo.” Can you say “Bimbo” boys and girls? It’s those women from Huntsville who are nothing but trouble for me. Done. After some additional looks and reads, I’m dumping Shea and going back to Sydney. Shea’s cute, but I like ’em younger and stupider. True to form, perhaps (I mean, Sydney and her mom, not me), I also saw where they were arrested and charged after some wild party, engaging in some uncivil carryings-on at a church, or church-owned park or something. Great: probation. An essential, necessary step on the path to success. Not. Yep: everything they learned, they learned in high school, that indispensable proving ground of maturity. Pity tends to crush my “crushes;” even my pity is subject to my principles. And I hope you do know and trust, Jack, that all my blubbering about Sydney is tongue-in-cheek, or mock smitten-ness – at most, vicarious, or projection, or something like that, into the mind of some fictional (strawman? ), lust-beset, lonely hearted dude. Hey, I welcome it. That’s one of my favorite shots on the site. We all wish Syd well. Wow. I made the mistake of reading the discussion. Enlightening for sure. Definitely confirming that things are the same then as now. You mean tgt’s reflexive argument that there was nothing untoward about Sydney’s “Call 900-SYDNEY for a great time!” proposed yearbook shot? I still don’t see a problem with that yearbook photo. That Sydney’s a bad apple doesn’t change the propriety of the picture. Actually, I don’t know that she’s a bad apple. I do know what that photo was supposed to signify, though. Frankly, I don’t really care about some second-rate reporter in Huntsville, Alabama. She was moronic to post the blog, more moronic to think that anyone would care one whit about her idiotic list, even more moronic to re-post the blog in the interest of “free speech” when the station had every right to call her on what she was doing to its reputation. Go flip burgers. Or write one of those cute “My Inspiring Thought for the Day” books. Surely it would be a best seller. Jack, I really don’t think this one was worth your time. It’s an important issue, actually. Young workers don’t understand that their “personal blogs” affect how they are seen in the workplace. On the other hand, employers might acknowledge the problem and not lower the boom so fast. Classic ethics problem. Not everything has to be world hunger. I’d sure rather write about her than Weiner, and the lessons of her fall are more generally useful. “Don’t send photos of your wang to strange women and lie about it if you’re an elected official” is, I hope, of narrow utility. Back to (a little more) sobriety and seriousness, I agree, this situation is more universally relevant than an arrogant political candidate’s follies. If she “never imagined in a million years that this would get her into trouble,” what kind of credibility does she have as an investigative reporter? Either this is a total send-up for her “15 minutes of fame” or her alter ego has taken over her critical faculties. No grounds for an employment complaint. I did like # 6 though – they scare me too! Thanks for the post. This young bimbo doesn’t scare you? I live in Arizona where the massive retirement homes and developments are analogous to the huge landfills around every city in the country. They are massive burial mounds of incredible lives lived, talent, education, accomplishment and everything else you can imagine as constituting existence. Sure these people are old. You’re a heck of a lot older than you were forty years ago, aren’t you? But if you dig into these piles of human storage, you have no idea what you’ll find: former ambassadors, retired musicians of the highest order, scientists, WWII combatants, Nazi murder survivors, even competent, grown up journalists. And all this talent and knowledge just sits there, quietly put out of sight and mind, unused and decaying. It’s a shame. I bet if this Bimbo did some interviews in retirement places around Huntsville she’d find, oh, say, ten or twenty retired rocket scientists who did silly things like put a man on the Moon using slide rules and onboard computers that had less computing power than a dime store calculator. Thanks OB, great comments; you rekindled my interest in catching up with baseball man Monte Irvin. You’re welcome. You are in personal contact with Monte Irvin? The former ambassador [to Germany] is a tremendous, feisty, highly educated black man who obtained his undergraduate degree at the University of Colorado via a track scholarship and was on the Berlin Olympics (1936?) U.S. track team. A little addled by age now, but still, just the stories he told about being raised in Alabama were living history. Bill, sorry if I mislead you. No, I have never met Monte Irvin. When I read a newspaper article on him a year or more ago, I realized that we live fairly close. Being a baseball fan, I made a mental note to try to meet him somehow, just to meet him and chat briefly, if such a thing is even possible. Then, time passed, I remembered my mental note, and thought, shucks, I blew my chance, and should have pursued contact with him doggedly, obsessively, when I first got the “bug.” He lives still! That is wonderful. I am going to keep my hope alive for meeting Irvin, too – in THIS life, I mean. The closest I have come in recent years to any of the baseball greats was after going into Houston years ago (2005? Maybe earlier) to wait in a long line for an autograph from Pete Rose. Our dads went to the same high school, and I got the impression from my (now late) dad that the two were acquainted; that is the only connection Rose and I share. Is the ambassador you speak of in contact with Irvin? Bill. I enjoyed this post because it brought to mind something that happened to me several weeks ago. I was sitting in my Dr.’s waiting room when an older woman (late 70s) sat down beside me and asked what kind of perfume I was wearing. We exchanged info and I hope we can have lunch or coffee one day. Living in FL…sometimes you start thinking of age as us and them. I came on this entry very late (!) and haven’t read the responses. All I can say is that, whatever her little ethical peccadilloes, that little darlin’ will have NO trouble finding a cozy job or a husband… unless she’s also a complete dolt. Sending out that message doesn’t say much for her brain workings, but if she’s at all functional, she’ll do well. Being beautiful overcomes so many trifling faults!